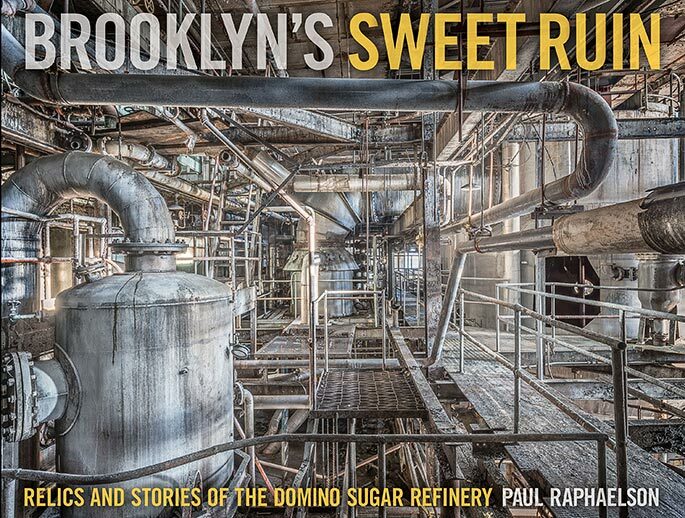 Domino’s Brooklyn Sugar refinery, once the largest in the world, shut down in 2004 after a long struggle. Most Brooklynites of my generation know it as an icon on the landscape, multiplied on t-shirts and skateboard graphics. Urban explorers sly enough to breach the gates have found a playground of sublime, post-industrial texture and nostalgia. But what was Domino? What stories were we missing? In 2013, shortly before the site’s demolition, the real estate developers generously let me in to explore. I had proposed an expansive—even messy—fusion of art, document, and industrial history. I wanted to show the ruin as its majestic self, and also as a lens through which to see the history of the place and its people. In a sense, I found myself looking at a long-gone version of the country, through a recently-gone company and community, through a soon-to-be gone labyrinth of architecture and machines. At the same time I found myself working in the abstract, seeing how much chaos I could allow into the frame, while still making a coherent picture. The visual density and confusion of the place invited this kind of formal experiment. … management shut them down after a bitter fight, firing strikers and replacing them with Polish workers, who had somehow gained a reputation for submissiveness. We can assume that this unbending response was a matter of principle, not necessity; the refinery made $50 million in profits that year . The workers would be prevented from unionizing until later in the century. They were well taken care of, however, when it came to beer, which happened to be Brooklyn’s other major manufactured product. The Brooklyn Eagle reports that the refinery had its own bar in the cellar, which supplied beer to the workers at cost: “It is the quietest bar in Brooklyn, for loafing is not allowed there, and the tapster’s job is chiefly that of filling the pails that are brought down from the hot rooms overhead by the messengers.” Each worker had his own pail, and was limited to one pail of beer for every two hours’ work. The price of beer varied according to season and type, but averaged 3 to 4 cents a pound (the beer was sold by weight to eliminate suspicions of pails being overfilled with suds). Workers were issued tickets (or “chits”) as a portion of their pay, and could redeem a ticket for a pound of beer. A dollar bought 25 to 40 tickets. Six messengers worked full-time delivering beer to the workers, stringing pails on six-foot poles they held across their shoulders. The messengers would blow whistles when they arrived at every floor, and exchange pails for tickets. Consumption of beer was “immense, for the heat generates a thirst that is even willing to assuage itself with water, if worst comes to worst…Cases have been reported of men who have earned $35 a month drawing $16, the rest having been held out for their beer.” This adds up to more than 20 pints of beer daily, assuming a six-day work week. Like everyone before us, we’re facing our fears, in part, through art and popular culture. We may now also be using these tools to shame our ancestors—for the hubris and recklessness we believe caused this mess in the first place. Foundational ideas that shaped earlier generations, including faith in progress, have fallen under our skeptical gaze. In this sense, contemporary ruin art criticizes modernity itself. This may be more evident in industrial pictures than in other ruin genres. 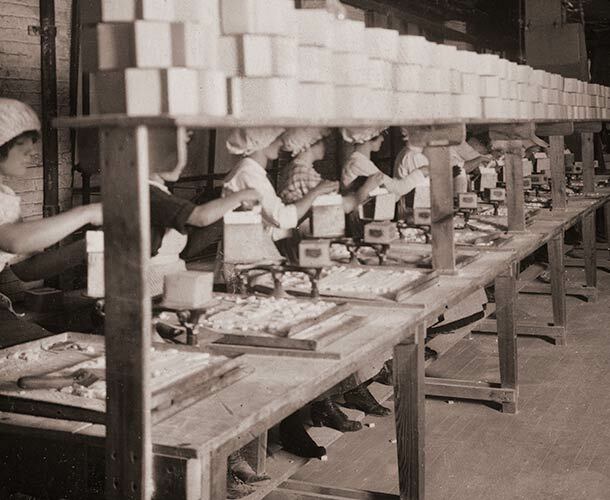 Factories embody the optimism and ambition of modernity. And like Rome’s Forum, and the statue from Shelley’s “Ozymandias,” they project economic and cultural power—or once did, for generations that came of age between the industrial revolution and the middle of the last century. Maybe unsurprisingly, reactions to empty factories, whether in person or in art, seem divided along class and generational lines. 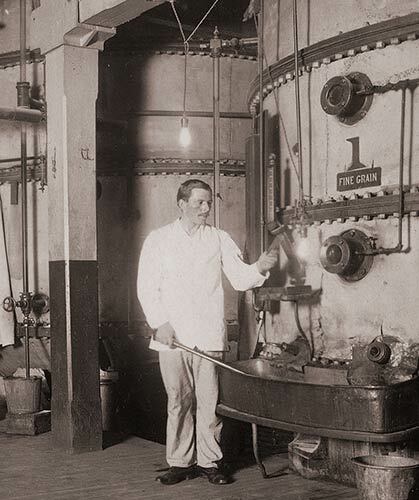 Most members of the American middle class born in the post-industrial age seem to know factories as a historical idea, much like steam ships and sanitariums. Factories are not a part of the world they’ve occupied. Members of this group, myself included, typically see photos like the ones in this book as esthetic exploration—maybe with hints of postmodern schadenfreude thrown in for flavor. These views were formed by a version of America different from the version that formed my own. All this subjectivity led me to a question and a challenge: is it possible to address all sides of these generational and cultural divides? Can I make photographs that are compelling to myself, to a young urban explorer, to an art curator, to a former Domino worker? Many thanks to everyone who backed the project, or gave their support and enthusiasm. To bring this book into the world, I teamed with Pulitzer Prize-winning photo editor Stella Kramer, architectural historian Matthew Postal, and art director Christopher Truch. I dug through photography and news archives at the Library of Congress, Brooklyn Public Library, Brooklyn Historical Society, and the dim basements of the internet. And I met with several former refinery employees, to hear some of Domino’s more personal stories. We launched a crowdfunding campaign to cover expenses, and signed a deal with Schiffer Publishing shortly after the campaign’s success. Crystal Domino Tablet packaging line. 1912 publicity photo. 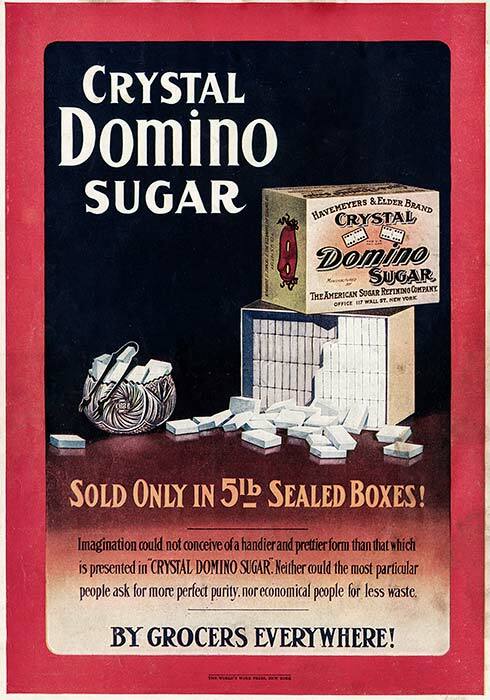 Imagination could not conceive of a handier or prettier form than that which is presented in “CRYSTAL DOMINO SUGAR.” Neither could the most particular people ask for more perfect purity, nor economical people for less waste. 1907.